We all want peace! Practical, visionary and strategic, Peace at Work should be on the desk of every HR professional. Discover why, how, when and what to do to help people get through conflicts so they can get back to work, and you can too! This handy set of 56 cards has been distilled from the book Peace at Work, and provide instant guidance on what to do. You don't want to mediate a workplace dispute without them! If you are a leader, you have a special responsibility for how others get along. If you are in HR, you certainly have the responsibility (of helping others get along). 1. 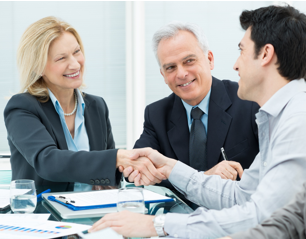 You are expected to get along and have good interpersonal relationships with your colleagues. 2. You are also expected to do something when others aren't getting along! It can be scary because there is a lot at stake. And if you make a situation worse, whether through inattention, or doing something that exposes your organization to legal action. Then suddenly your job is at risk. And you can't sleep at night. Even though, in truth, you don’t receive a lot of support and guidance, (beyond encouragement), on how to do this part of your job. The difficult part that involves helping others get along. So, you have to hold onto all of this stress, anxiety and frustration. And not take it home. Where you risk taking it out on your children or spouse. If only there was something you could do. Something that brings you the inner peace of knowing you’ve done your best. Something that rewards you for taking on the challenge. It’s being used by HR Professionals all over the world and especially here in the United States. It’s a process as old as humanity. That allows you to do your job. Of helping others get along. 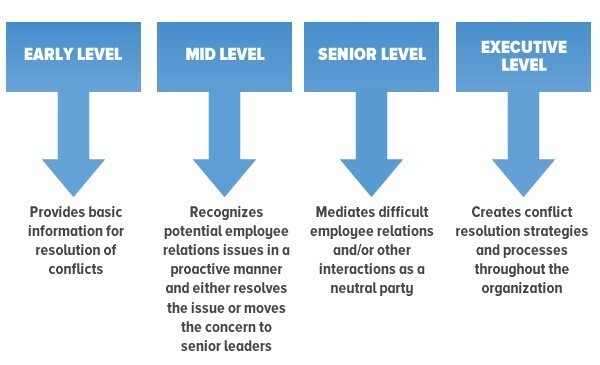 Did you know that by the time you are a mid or senior level HR Professional SHRM, you are expected to be able to mediate difficult employee relations situations? But what if you struggle getting along with others? What if you don’t trust yourself and think you’ll make the situation worse? What if you aren’t comfortable with conflict and really don’t know how to mediate? Like leadership, mediation is a skill that can be learnt. Mediation generates positive results over 80% of the time. It allows you to do something positive. Without increasing your organization’s legal risk. And rather than a superficial patch over. You get to lasting resolutions. So, the visits to your office by disgruntled employee’s decrease, and you get on with other pressing aspects of your job. Hi, my name is John Ford. I am the author of Peace at Work: The HR Manager's Guide to Workplace Mediation and Founder of the HR Mediation Academy. I encourage you to pick up a copy of my book Peace at Work: The HR Manager’s Guide to Workplace Mediation and the accompanying deck of cards. You’ll discover the answers to these important questions. 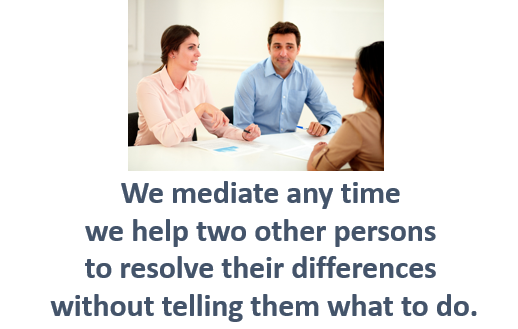 My goal is to support you to successfully master the skill of workplace mediation. I want to make it easy for you to do something about your disgruntled employees. So you can feel the satisfaction of doing what other's fear to do. I want to share with you what I have learnt from working as a professional mediator with an employment and workplace focus. I want to reveal all the insights to resolving conflict so that you can too! I am also going to weave in what I have learnt academically while teaching graduate students the skills of conflict resolution, negotiation and mediation. For some time now, as part of my corporate training practice, I have taught HR managers the skill of mediation through the offices of the Northern California Human Resources Association. Although a book can never replace the learning that occurs in a classic training environment, my hope is to convey to you, what I cover when training your colleagues. I do not have to tell you how debilitating it is when - no matter what you do - employees just can’t get along. I want to give you the tools to do something productive about it. Having mediation as a tool can go a long way to support authentic organizational harmony and well-being. And if you are the one doing the mediation, you get the accolades for being a peacemaker! Regardless of whether you pick up a copy of my book Peace at Work , or the accompanying set of cards, please do consider signing up to receive access to this FREE Webinar Replay and occasional educational updates. And then over the course of a couple of months you will receive a series of short emails to orient you to the world of organizational conflict management, and internal workplace mediation, in particular. 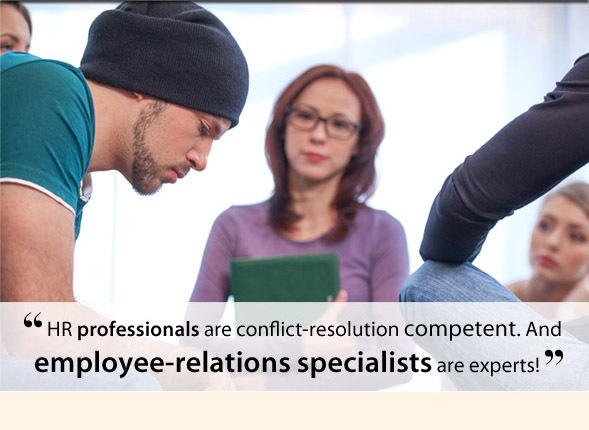 I want to empower you to mediate internal workplace conflicts on your own - with the composure of a professional. You are welcome to email me at any time. I will respond to all personal emails. From time to time I'll include offers for my book, the cards and also my online training offerings in mediation through The HR Mediation Academy. But this webinar and the emails that follow are 100% FREE! And include emails with key information, based on my over 20 years working as a professional workplace mediator, that is not available anywhere on the web. Only in these emails. So, if you are in HR, and are curious about how you are going to handle the inevitable conflicts that come your way with composure - when you are the one everyone is expecting to work miracles! Then please do sign up to start your inspirational journey of discovery with me. To your conflict resolution competence! Practical, visionary and strategic, Peace at Work should be on the desk of every HR professional. Discover why, how, when and what to do to help people get through conflicts so they can get back to work, and you can too! Regardless of whether you pick up a copy of my book Peace at Work , or the accompanying set of cards, please do consider signing up to receive access to this FREE Webinar Replay and ocassional educational updates. And then over the course of a couple of months you will receive a series of short emails to give you the information to reflect on how you are dealing with conflict and what you could be doing better. I want to empower you to mediate internal workplace conflicts on your own...with the composure of a professional. You are welcome to leave (unsubscribe) at any time. I'll be sad to see you go, but want you to be in choice recieving my emails. From time to time I'll include offers for my book, the cards but also my online training offerings in mediation through The HR Mediation Academy. With tact and respect of your choice. And include emails with key information, based on my over 20 years working as a professinal workplace mediator, that is not available anywhere on the web. Only in these emails. So, if you are in HR, and are curious about how you are going to handle the inevitable conflicts that come your way...with composure when you are the eye in the center of the storm! Then please do click here to start your inspirational journey with me.